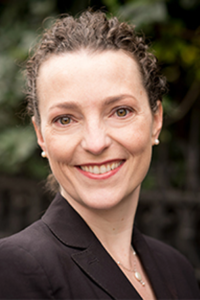 Before joining the Georgetown faculty, Lilian V. Faulhaber was an Associate Professor at Boston University School of Law. From 2013-2015, she was an Advisor at the Organisation for Economic Co-operation and Development, where she worked on the Base Erosion and Profit Shifting Project. Professor Faulhaber clerked for Senior Judge Robert E. Keeton and Judge William G. Young, both on the U.S. District Court for the District of Massachusetts, and was an associate at Cleary Gottlieb Steen & Hamilton LLP in New York. She is a graduate of Harvard College, Cambridge University, and Harvard Law School, where she was editor-in-chief of the Harvard International Law Journal. Professor Faulhaber has published articles on international taxation, tax avoidance, charitable giving, and European Union law. Lilian V. Faulhaber, The Trouble with Tax Competition: From Practice to Theory, 71 Tax L. Rev. 311-365 (2018). "Emulation Could Lead To Int’l Tax Coordination, Panelists Say," coverage by Law360, February 1, 2019, quoting Professor Lillian Faulhaber. "US attacks UK plan for digital services tax on tech giants," coverage by BBC News, October 31, 2018, quoting Professors Lilian Faulhaber and Itai Grinberg. "In 3 Years Since BEPS, Most IP Regimes In Compliance," coverage by Law360, September 21, 2018, quoting Professor Lillian Faulhauber. "Altera, Medtronic Show Heightened Scrutiny In Transfer Pricing Suits," coverage by Law 360, August 24, 2018, quoting Professor Lilian Faulhaber.